Accomodation is overall great! Price is great! It is very clean and staff is great! 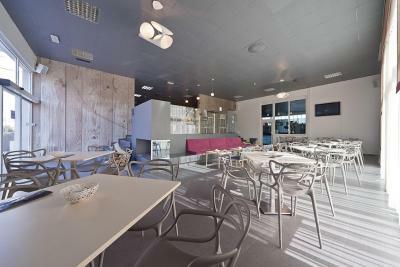 Modern facilities , helpful staff, easy bus access to Ljubljana. Nice place. Nothing fancy. Good value for money. Staff was very helpful. It's a great place just for sleeping. Wouldn't recommend for more than a couple although there were 3 beds in the rooms. Room and bathroom were exceptionally clean. We really appreciated the note left for the night entrance as our flight was delayed. Location of hotel for sports activities is perfect. New rooms,friendly staff speaking fluent English.Free parking on property site.Food store right across the street,also a few restaurants around. We were very satisfied with everything. Lovely bed. 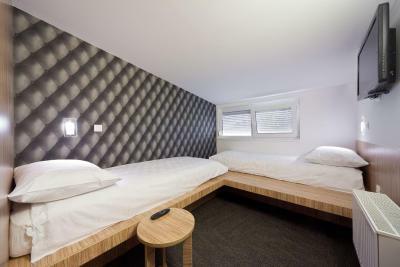 The hotel is rather a youth hostel facility connected to a gym, offers spartan accommodation, yet apart from lack of square meters of space, it did offer everything necessary for a comfortable stay. Recommended to young travellers. Bit Center Hotel This rating is a reflection of how the property compares to the industry standard when it comes to price, facilities and services available. It's based on a self-evaluation by the property. Use this rating to help choose your stay! 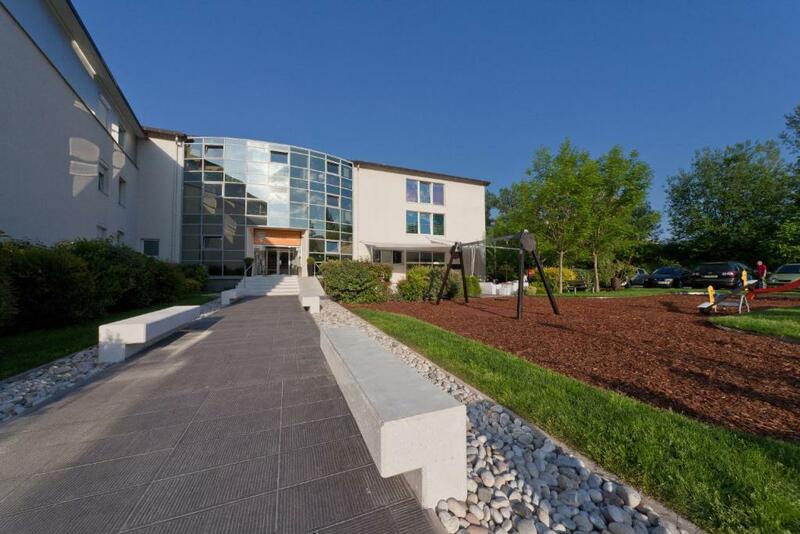 Located 1.9 mi from the center of Ljubljana, the Bit Center Hotel is in a quiet green area with a big parking space, badminton and squash courts. 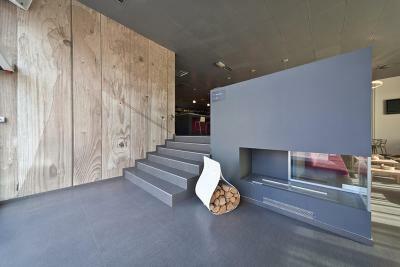 The hotel also offers a fitness center, a dry sauna, massage facilities and a gym. 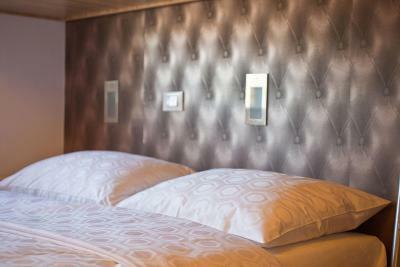 The modern style rooms are equipped with a TV. 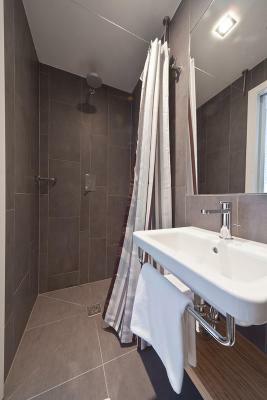 Private bathrooms come with a shower and a hairdryer. Towels and bed linens are provided. Self-service continental breakfast with vegetarian, vegan and gluten free options is available upon request. 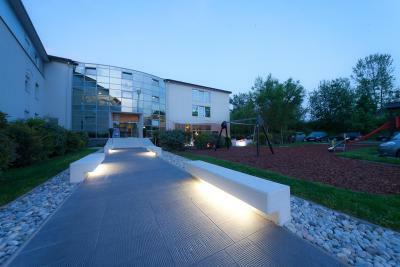 The lounge café features a terrace and a children’s playground on the front lawn. 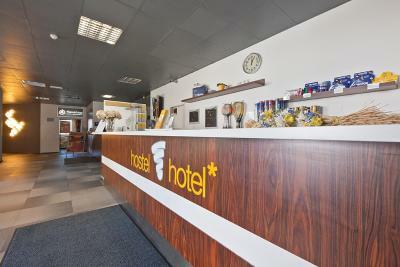 The hotel is easily accessible by public transport as well as from the city ring motorway. Bit Center Hotel is close to the biggest shopping center in Slovenia, the BTC City, which houses over 400 shops, restaurants, a cinema, a water park and others facilities. 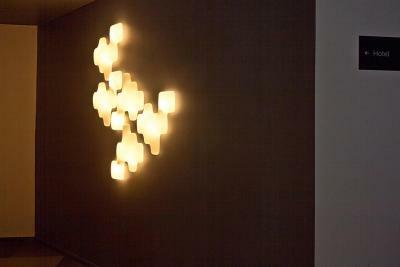 When would you like to stay at Bit Center Hotel? 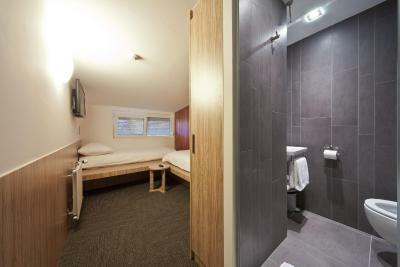 The rooms offer free Wi-Fi and LCD TV, as well as a bathroom with shower. House Rules Bit Center Hotel takes special requests – add in the next step! Bit Center Hotel accepts these cards and reserves the right to temporarily hold an amount prior to arrival. The use of air con been an optional extra cost. Check inn was very quick and the staff were very friendly and informative. 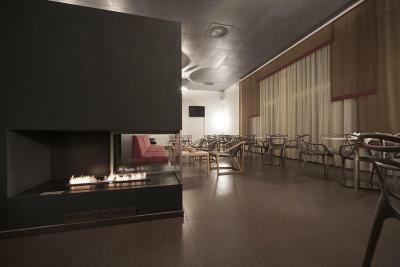 The rooms were clean and the hotel was easy to access via bus routes 13,9 or 5 straight from the centre of Ljubljana. There are also 3 supermarkets close by and also some restaurants, and petrol station. Good price perfomance, good breakfast with good expresso coffee. 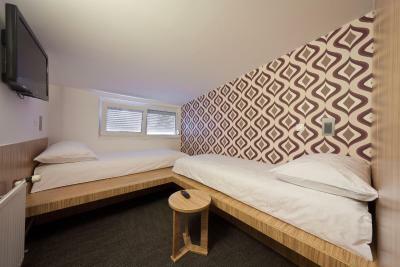 Very simple rooms but clean, LCD TV with many channels. Parking very close to the hotel. Manager... please invest a little bit more and fix issue with shower. It is hotel and not a boat or camper. 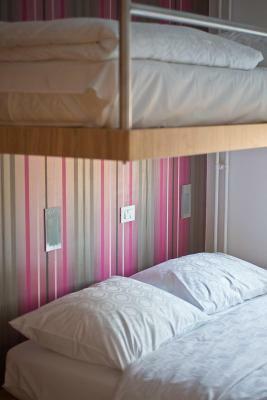 Issue with renting accomodation to young groups. Expecially Italians... they do not know how to be polite. They made a noise whole night, and since there is no reception after midnight you can only call police. Only one towel for a two bedroom room, we had to ask for another one. No lift (nowadays even I hostels often have it). Very small room with only one electricity plug. 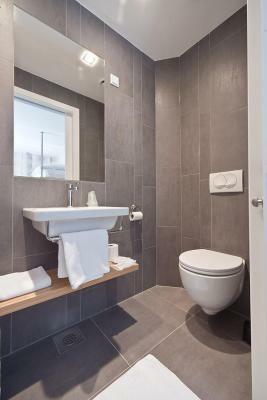 Minuscule toilet and shower doesn't have anything to prevent water from going everywhere. Tiny windows. 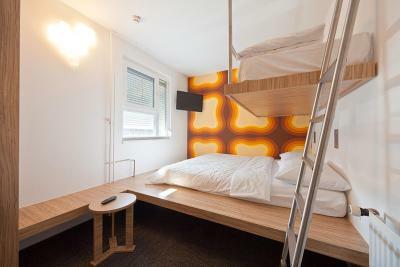 For being outside city center, 65 euro per night is way too much. Nice staff, fairly new hotel, nice fitness center, just enough parking, bus station just accross the road. 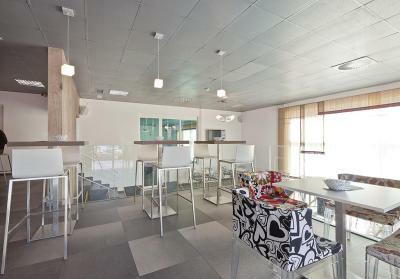 Nice and clean hotel which is part of fitness center. Clean rooms, nothing fancy, but it has value for money. We stayed only overnight, so it served its purpose perfect. Few supermarkets nearby. 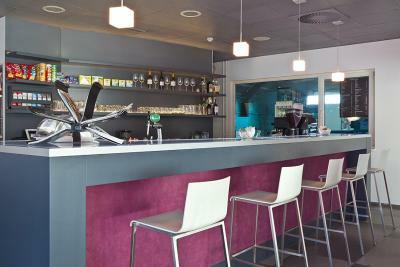 The staff was extremely slow, especially those serving at the bar. Breakfast offer was less than I expected. Mattress - there were two at one big bed and during night, it moved. There were no list of the TV channels so it was not easy to find what I will watch. Maybe to make a list and put explanation about type of that TV chanal. Everything was fine, nice bed, nice staff, good breakfast. The room is a bit small. But it doesn't change the overall good impression. 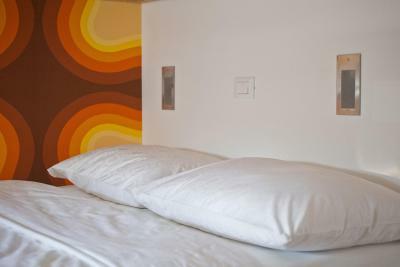 Comfortable bed, extra clean room and bathroom, fantastic WiFi signal, free parking, easy to reach from highway. Helpful , polite and friendly staff. Breakfast could be better with more variety. It is 2-3kms far from center but we have been travelling by car so it did not matter for us. The room was smelling weird. Heating was not enough for the room and was working too noisy whole night. It has free parking for those who travel by car. The location is a bit far but not difficult to find.